It looks like the West Branch escaped most of the rain. 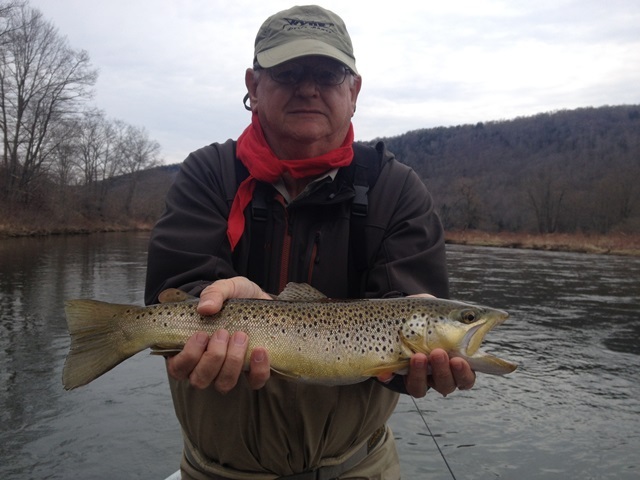 The color looks fine right now with some feeders bringing the flow up at Hale Eddy a little. It does not seem that Cannonsville is spilling yet. The WB at Walton is 733 cfs. Yesterday was an interesting weather day with periods of rain and cool temps. 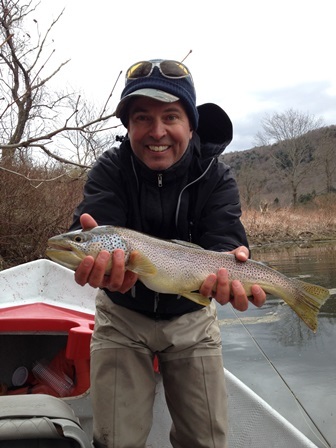 There was a nice hatch of Blue Quills in the afternoon and a few fish were caught on top. Nymphing was also productive throughout the day. Today the weatherman is calling for highs in the 60s with winds gusting to 11- not too bad. This should be a good fishing day and we’ll keep an eye on Cannonsville for spill. Blue Quill #16 – Paralep sp. Little Black Caddis #18-20 – Chimarra sp. Tiny Black Stoneflies #18 – Capniadae sp. Early Black and Brown Stoneflies #14 – 16 Taeniopteryx sp. The rivers are still in decent shape after yesterdays cold and rain. 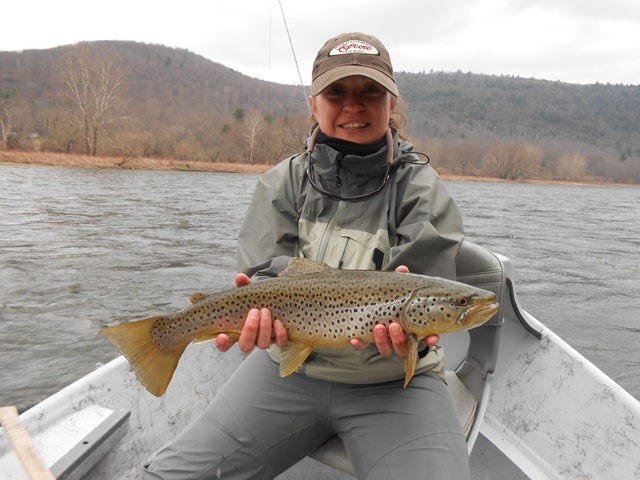 River temps are starting off in their normal range and the flows only had a minor bump. More cool temps and rain on the way today but Thursday’s weather looks great for fishing. The rivers still fished yesterday with a number of fish landed on nymphs and the weather never seemed as bad here as the weatherman was making it sound. Cannonsville is at 99.2% capacity. We all thought the river would fish well yesterday. We were right. Everyone seemed to find at least some fish ea ting a mix of Blue Quills, Quill gordons, and the first few Hendricksons. 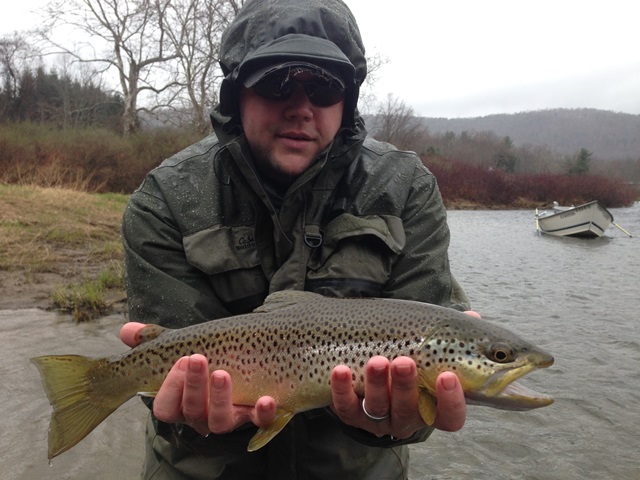 Dry fly action was decent in the afternoon while nymphing paid off throughout the day. Starting today the temperatures drop and the wind comes back. Thursday we get back to “normal” and the weekend looks like it will fish. Blue Quills and Quill Gordons are still hatching in decent numbers on the system. On colder days the window is only a couple of hours but it’s enough to get the fish looking up. There are a few Hendricksons mixed inbut the main hatch has not stated yet. Add in the stoneflies and the chimarra caddis and you get the bug soup that makes fishing the Delaware so much fun. Today is shaping up to be a great fishing day- high of 61 degrees, sun in the morning with clouds rolling in during the evening. No wind! After what we’ve seen lately 5 mph will seem like nothing. The system is falling back into levels comfortable for wading and floating. Cannonsville is at 99.8% with a release of 701 cfs. Sorry for the delay this morning. Computer issues. 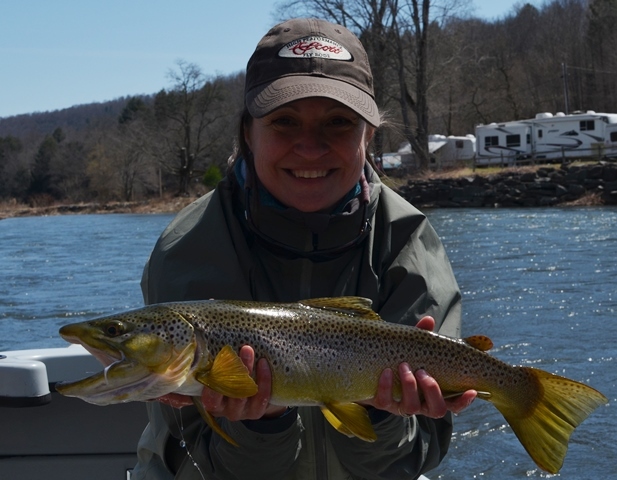 Cannonsville has stopped spilling and they have dropped the release to 1198 cfs. 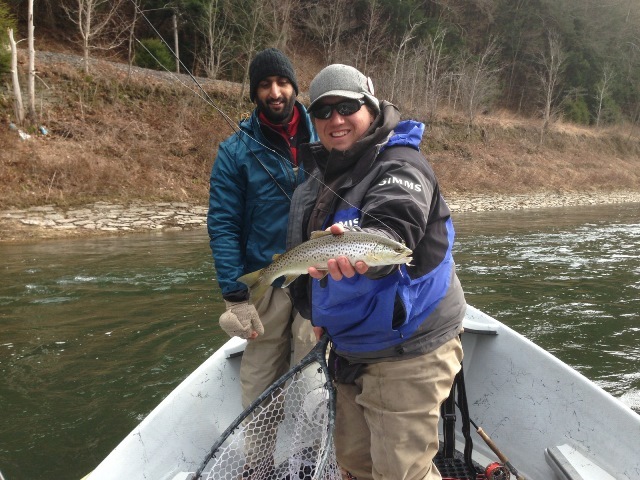 Our guides found some fish rising to Blue Quills yesterday in the mid afternoon. 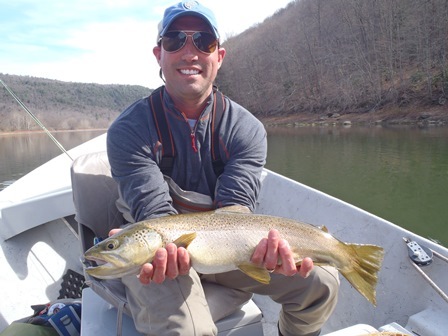 Streamers are still getting more attention from the fish but that will change as the water warms and the hatching activity increases. It looks like the dryfly fishing is about to break wide open so next week should be awesome. Cannonsville is currently 99.8%. The wind blew again yesterday but the river fished well in between the gusts. There were some fish rising in protected areas to a mix of Blue Quills and Quill Gordons. Unfortunately there were not too many areas protected from the wind. The fish have definitely turned on to streamers and that seemed to be the best answer with the weather. Today looks much better with highs in the 60s and some wind, but not anything like we just experienced over the last two days. The release from Cannonsville is currently 1,499 cfs. Fish are still eating in the wind! The wind was not kind yesterday. Streamers worked if you could stick with it and not be frustrated by the weather. A few one time risers were spotted but the bugs were being blown so fast and so far there wasn’t much of an opportunity for the fish to even see them. Today’s high is 54 degrees with more wind, but significantly less than yesterday. 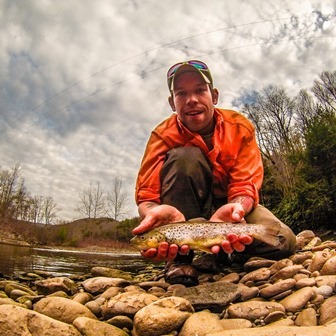 Streamers will still be your best bet but you may find a few fish rising in protected areas. The rivers are dropping and if we don’t have any more rain the reservoirs should stop spilling soon. Cannonsville is 100.7% capacity and Pepacton is 100.2% capacity. Finally! 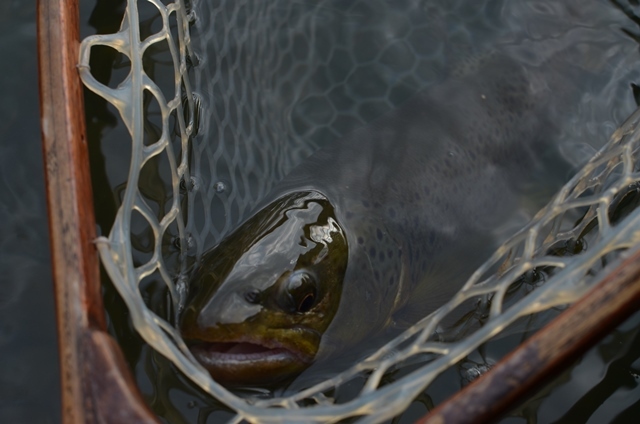 Yesterday we found the first steady rising fish eating a mix of stoneflies, Blue Quills, and Quill Gordons. They were feeding steadily for about an hour in the late afternoon in the slower edges and pools. 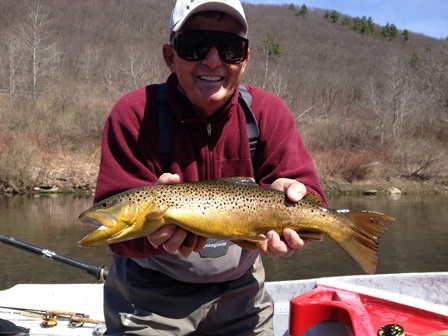 The streamer fishing improved dramatically and the fish were very active and happy. It was a great day to be on the river. The air temps are cooling down today but it looks like we will be on a warming trend over the weekend until Sunday. Cannonsville is at 101% capacity with a release of 1540 cfs. Yesterday was tough compared to Sunday. 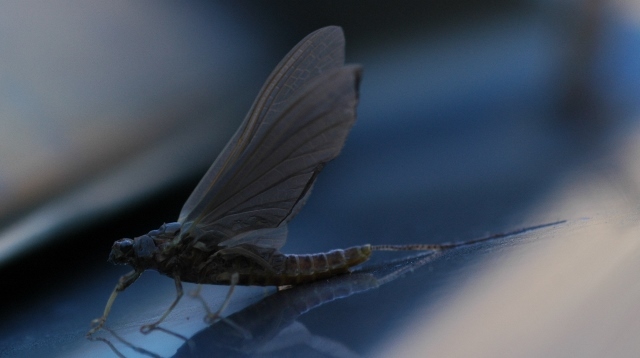 Fewer bugs on the water, including stoneflies. Streamers produced some activity but the bright sun didn’t help. Todasy looks better for streamers with cloud cover this morning wit a little rain moving in this afternoon. Hopefully the change in weather kick starts the bugs! I’ll take the high air temps in the low 60’s anytime! Cannonsville is at 101.4% and the rivers are dropping. A lot depends on how the storm tracks and how much rain we receive. Still waiting to see these in large numbers. It can’t be long! Yesterday was a good day! The water is beginning to warm up- looks like the West Branch peaked around 46 yesterday. 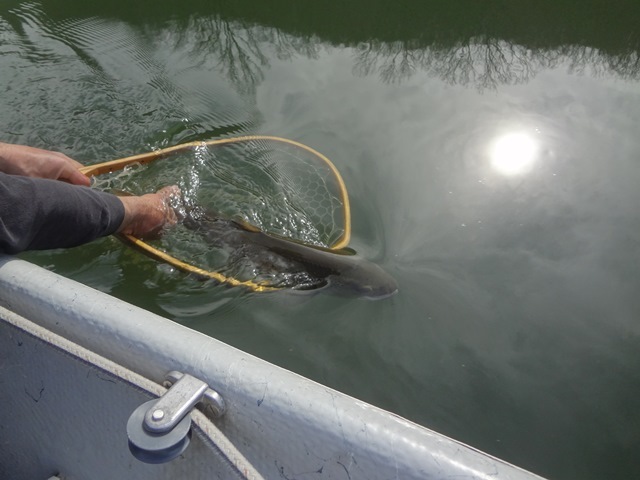 The streamer fishing improved along with the temperature. White streamers seemed to be the ticket but I think anything presented in front of an aggressive fish would have been hit. We had a lot of stoneflies on the water mixed with a few Blue Quills and Quill Gordons. Surface activity was slow but is definitely improving. I expect to see more heads this afternoon as the rivers fall and warm up. Today looks like a great day with highs in the low 70’s and a little rain moving in tonight into tomorrow. Samantha starting 2014 out right! Happy Easter! Lots and lots of bugs on the water and in the air yesterday. Not a lot of fish rising. We saw mostly stoneflies, Quill Gordons, and a few Blue Quills. The wind in the afternoon didn’t help. We have the bugs. It won’t be long before the fish realize their food is here and the fishing breaks wide open. A few more degrees of water temp should help tremendously. There will be some unbelievable fishing sometime in the next 7 days.